In a world full of plush triple A games with immersive, realistic worlds the 16 bit era of gaming is more popular than ever. Some love the simplicity of this earlier era of games, some want to try their hand at games they couldn't afford with their pocket money back in the 90s, others simply want to engage in a bit of honest nostalgia. 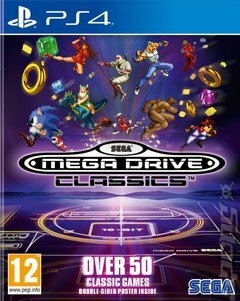 Whatever you're looking for, the SEGA Mega Drive Classics collection offers arcade action, shooters, beat-em-ups, puzzlers, old favourites and hidden gems offered with a host of modern features including online multiplayer, achievements, mirror modes, rewind and save states.